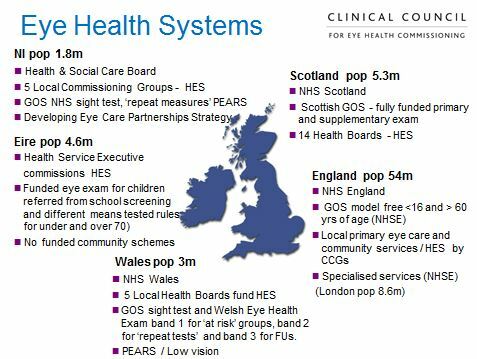 The NHS Five Year Forward View sees that individual clinicians and organisations will need to establish different ways of working, and that primary care providers will need to collaborate at a much greater scale with one another, and with community and hospital providers to deliver ‘wider primary care at scale’ for their communities. This will mean new models of care, and exploring how we can support the ambitions for primary care and work with other primary care contractors to provide joined up care for patients. A presentation by optometrist David Parkins of the General Optical Council.